Ideally suited for commercial buildings’ renovations and monolithic interiors, Rockfon® SpanAir™ Clip-In metal ceiling panels integrate with and conceal 15/16-inch suspension systems. These panels’ clip-in placement allows for downward accessibility without special tools, for easy maintenance of the HVAC, lighting, fire suppression, security and audio/video systems located in the plenum. “SpanAir Clip-In panels make it extraordinarily simple to retrofit and conceal 15/16-inch suspension systems with a fresh, stylish look. 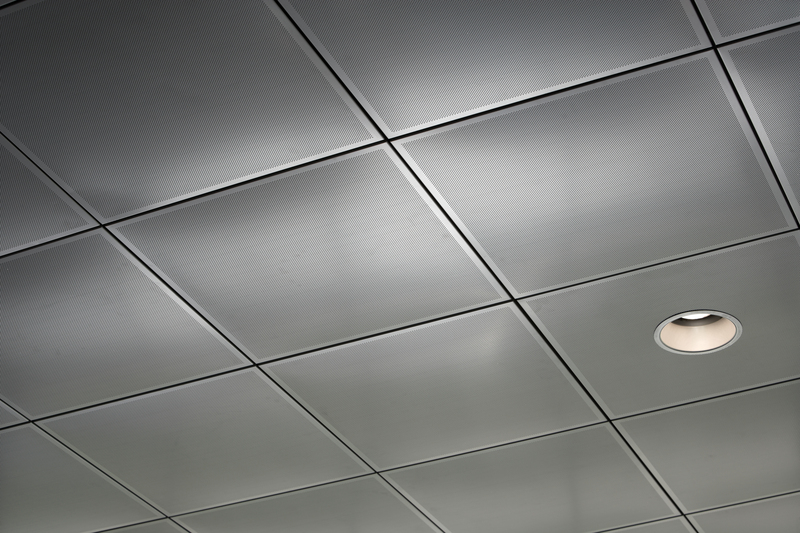 These easy-to-install panels provide a dramatic, alternative to exposed gridlines,” says Pat Wallis, ROCKFON’s specialty metal ceilings product manager. Beyond aesthetics, SpanAir Clip-In ceiling panels also contribute to commercial interiors’ performance and sustainability goals including a Class A fire rating, Noise Reduction Coefficient (NRC) of up to 0.90 with acoustical enhancements, and recycled aluminum content. SpanAir Clip-In panels feature a square edge design available in solid or perforated panels with dimensions of 24-by-24-inch, 24-by-48-inch or custom sizes. These ceiling panels and their metal components contain no organic compounds that support mold or microbial growth. A broad choice of finishes is offered to suit all interior palettes, providing low maintenance and long-term durability. 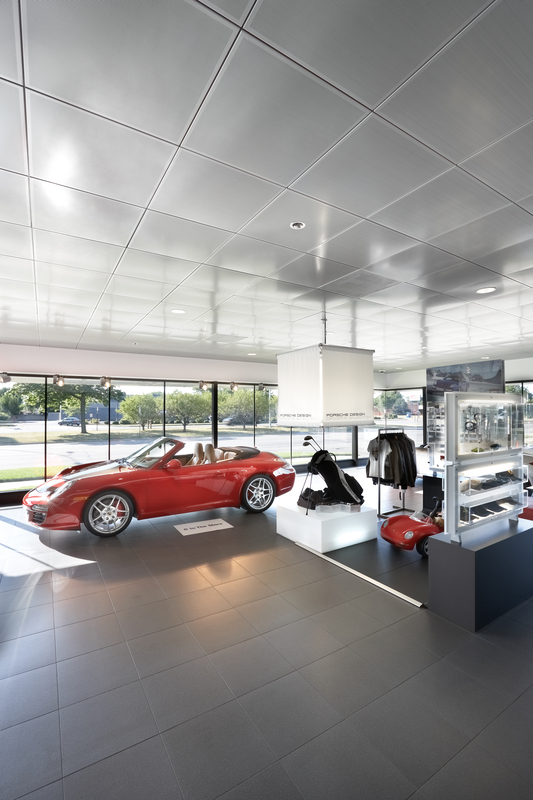 ROCKFON’s product portfolio in North America includes an extensive range of solutions from suspended and concealed ceilings to clouds and baffles. To learn more about Rockfon SpanAir Clip-In metal ceiling panels or other ROCKFON products, please visit http://www.rockfon.com, email cs@rockfon.com or call 800-323-7164.